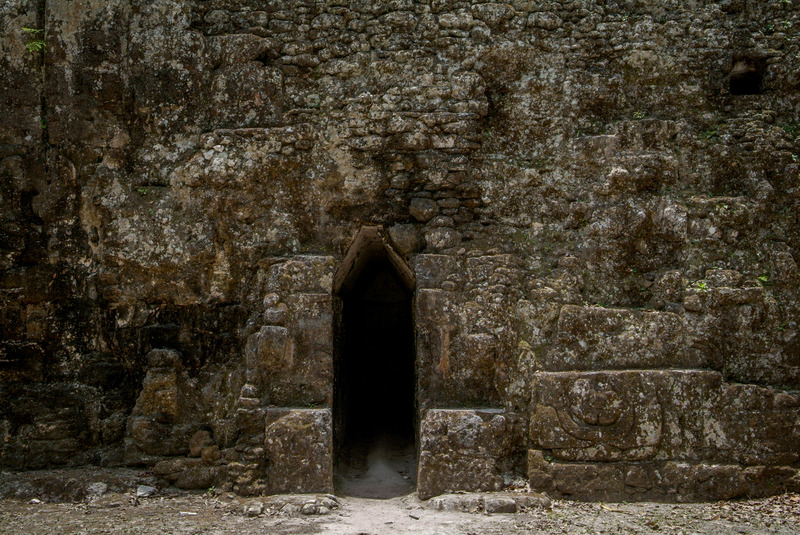 Listed below are the many additional Guatemala adventure tours we offer exploring the great Maya ruins. Please contact us directly for pricing and scheduling information. Perhaps the most visually stunning and impressive of all Maya sites, Tikal’s five monolithic temples pierce the jungle canopy (Temple IV reaches a height of almost 230 feet) and ancient plazas and ball courts tell of a rich and powerful history when Tikal’s population reached almost 100,000. 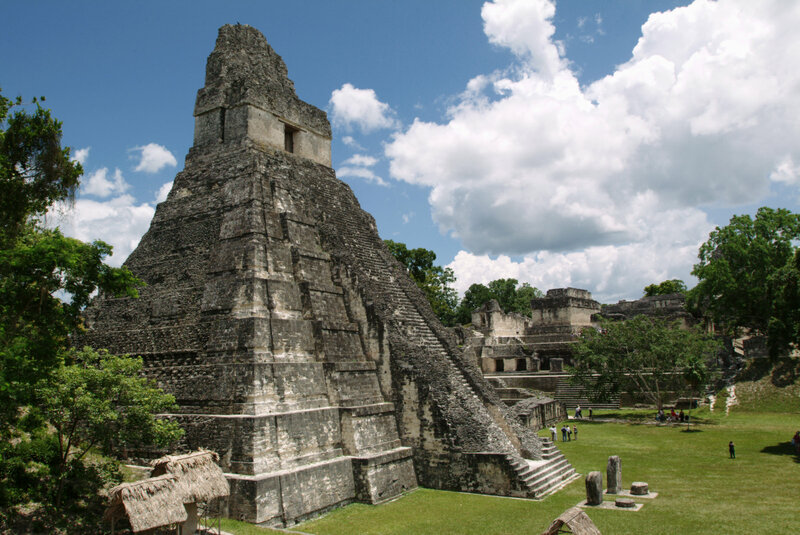 Today, Tikal's Maya ruins are recognized as one of the archaeological wonders of the Americas. The unspoiled jungle setting within the Tikal National Park makes it a paradise for birders, nature lovers, and amateur archaeologists. The important ceremonial center of Yaxhá is located between the two lakes of Yaxhá and Sacnab. Upon arrival, a Cayuco (motorized canoe) will transfer you to Topoxte, a site with a rich history of Maya culture and influence. 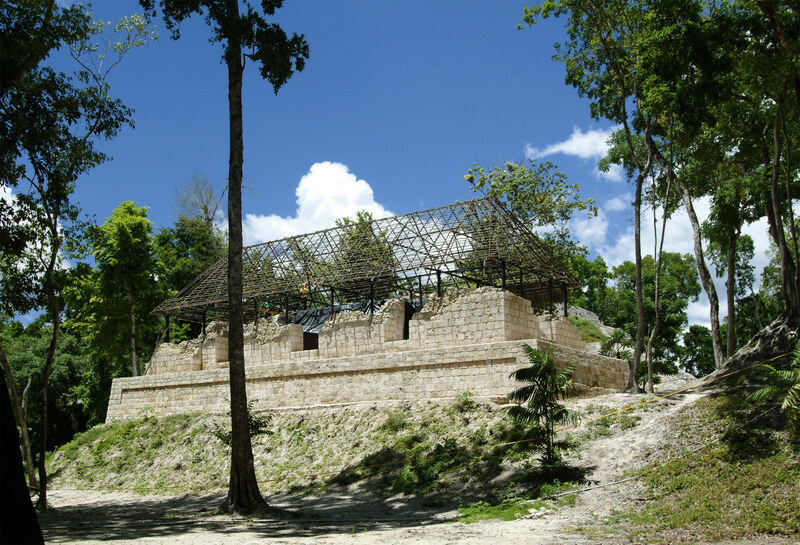 We will then explore Yaxhá, an important Maya site that has over 500 structures including 40 stelae, two ball courts, and nine temple pyramids. Structures at Yaxhá show the influence of Teotihuacan and include the only twin-pyramid complex outside of Tikal. 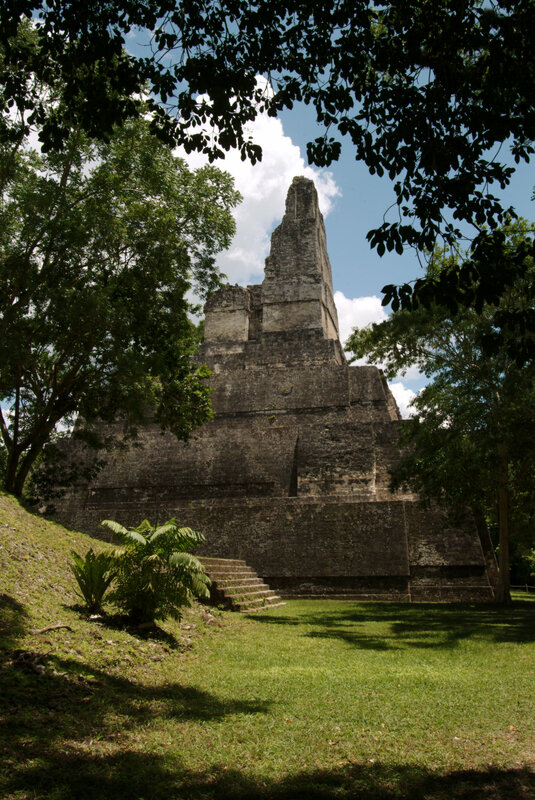 We invite you to join us on the 4-hour "Tikal Sunrise Experience." The sunrise tour is something you will never forget. 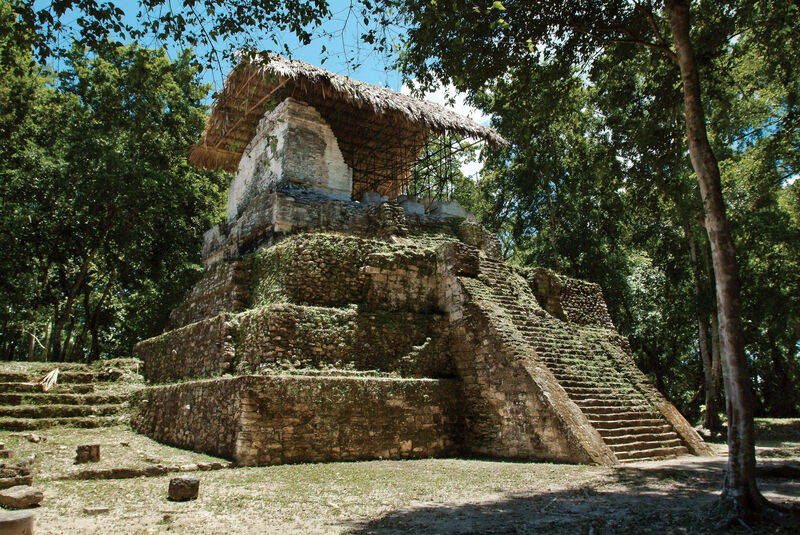 Throughout the tour, we will speak about Maya history, archaeology, and nature. We begin the tour hiking through the park in the darkness and witnessing the sounds of the jungle waking up. 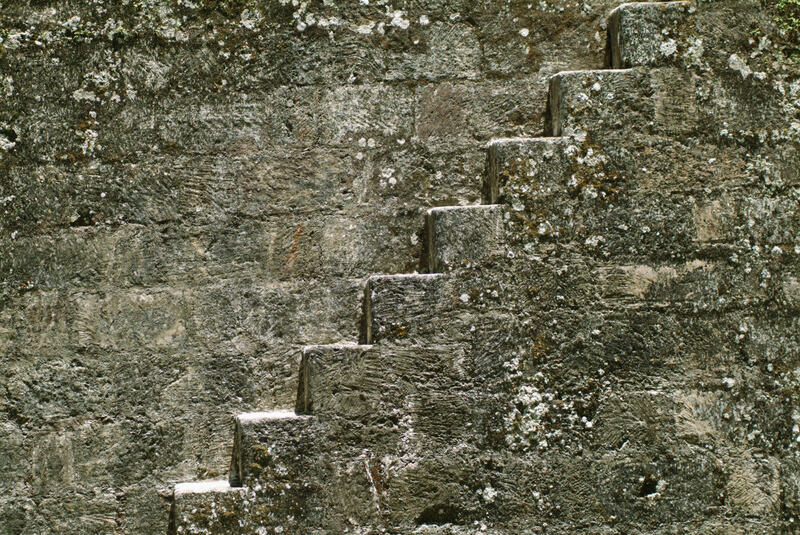 We then climb Temple IV, also known as the Double-Headed Serpent Temple "Serpiente Bicefala," the largest in Pre-Colombian America. 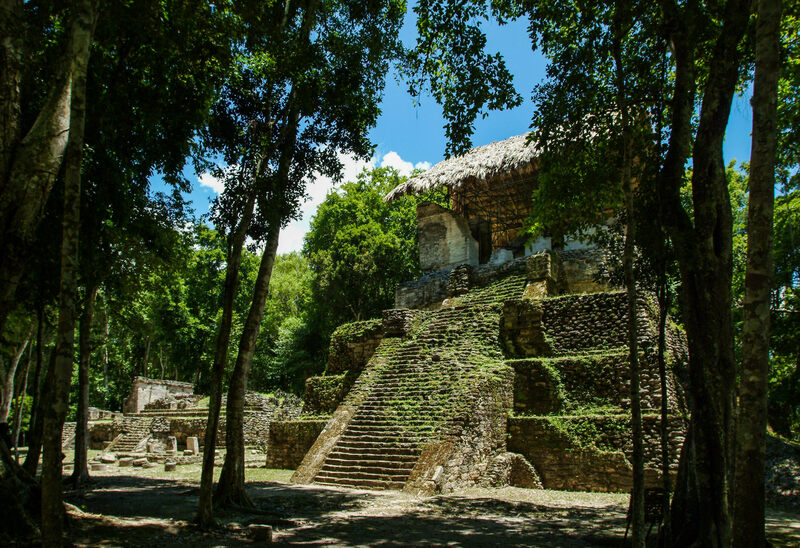 This tour offers special access to the magical Maya site of Tikal at sunset, allowing guests to enjoy the tranquility of the site and to marvel at the special sense of place that the majestic temples, spacious courtyards, and towering forest canopy create. 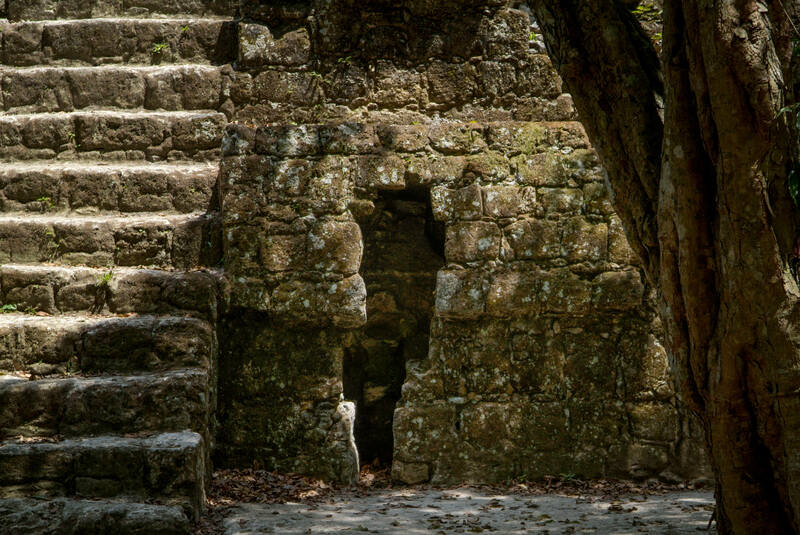 The silence is frequently punctured by the call of howler monkeys and it’s easy to step back in time and imagine causeways bustling with life and shamans holding court atop the monolithic limestone temples. 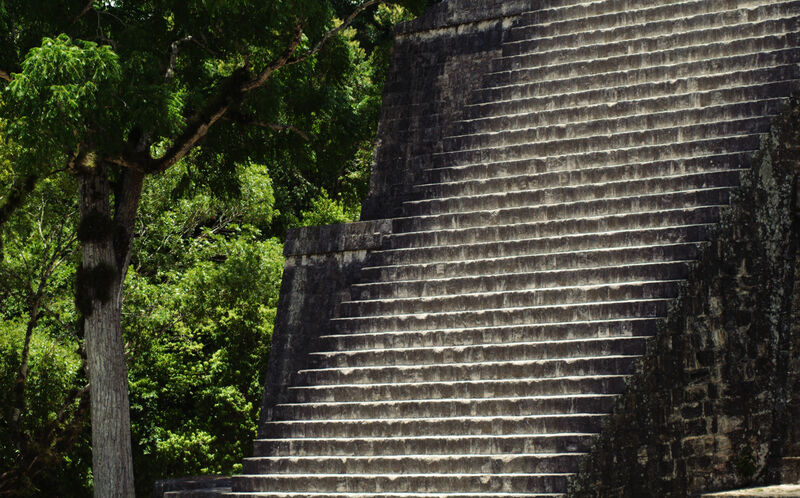 Experience a full day of ancient Tikal in the company of mystical Shaman AJ Kin. AJ Kin is roughly translated as 'the day keeper' and he learned the ways of the ancients from his grandparents. 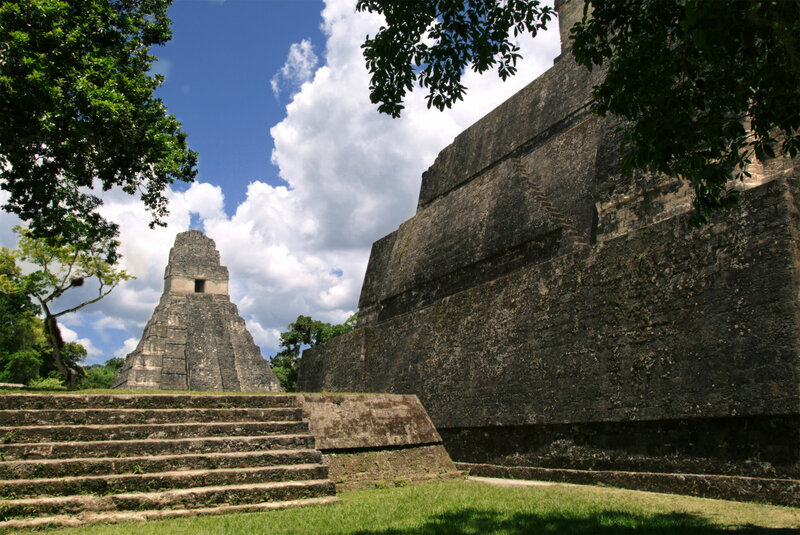 This tour of Tikal will introduce you to the fascinating world of Maya culture and beliefs. Starting as an archaeological tour you will be led through the veil of time to experience the citadel's most sacred and atmospheric sites. Your tour will culminate in a sacred ceremony where time and man become one. Departing from La Lancha, we drive east through rolling countryside and small farming villages toward the Belizean border before arriving for a guided tour of the ancient Maya site of Yaxhá set on the banks of the beautiful Yaxhá lagoon. From atop Temple 216 as the sun silently slips below the horizon you’ll be able to enjoy views of both lakes and the Temple of the Red Hands. 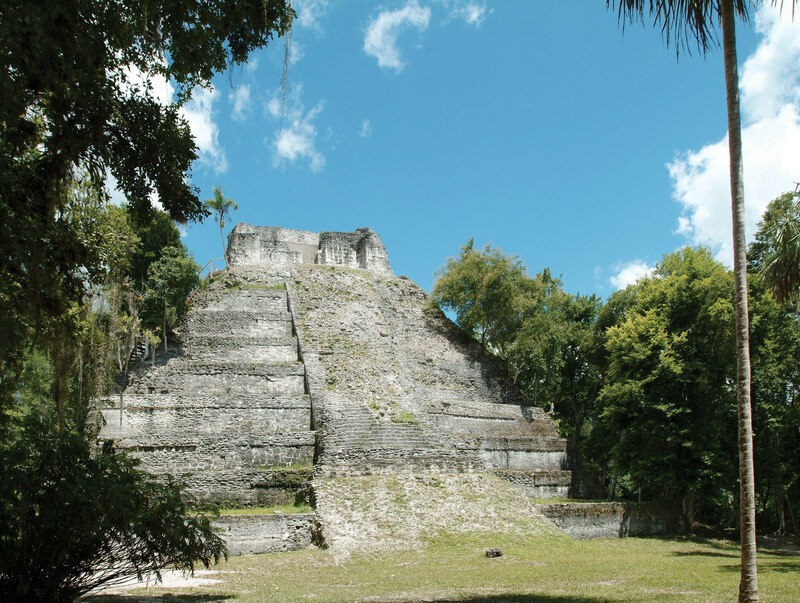 Located just two hours from La Lancha, the history of Uaxactún lies entwined with its near neighbor and greatest rival Tikal. While excavating the site, archaeologists discovered remarkable late Pre-classic sculptures and elaborately decorated temple platforms featuring large plaster masks representing the sacred Witz Monster. The grounds of the site are beautifully maintained and the onsite museum contains a wonderful collection of unique artifacts. 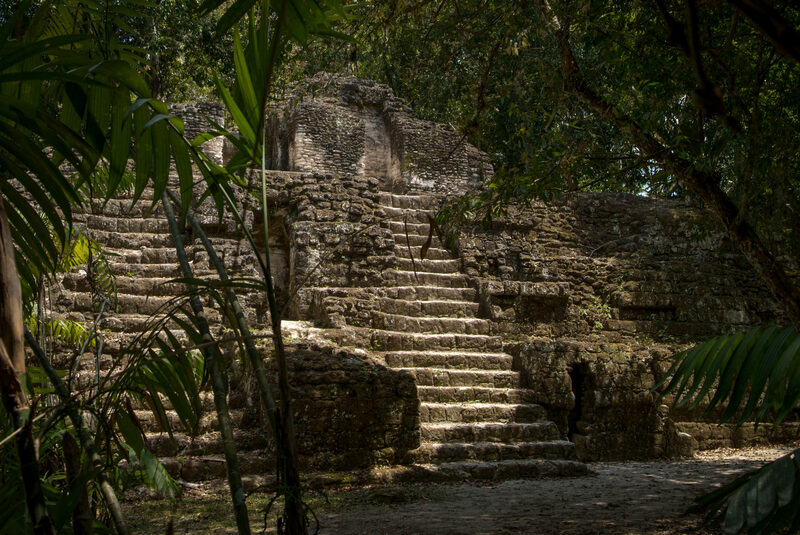 The impressive ruins of Seibal lie on an important trade route linking the Petén lowlands of Guatemala with the Caribbean coast and Mexico. 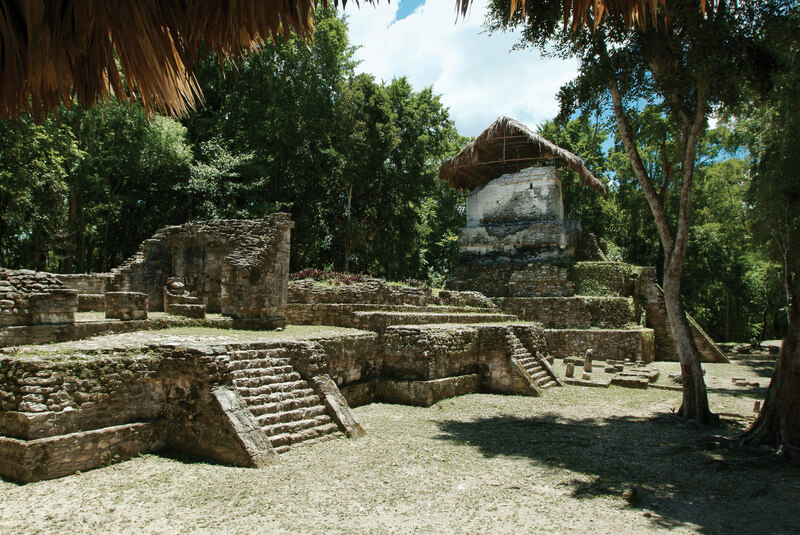 We travel by vehicle to the banks of the Pasión River, and then take a scenic boat trip to the isolated yet well-maintained Maya site of Seibal which is located just inland on a large bend in the river. It’s a beautifully landscaped, partially excavated site comprised of three main groups occupying different hilltops. Numerous stelae depict events after the Classic Maya collapse of the Petexbatún Kingdom while monuments at the site show influences from non-Maya cultures of Central Mexico and the Gulf Coast. The trip to Aguateca is an exciting full day adventure combining nature and archaeology. From the river port town of Sayaxche on the Rio Pasión we board a motorized boat for the three-hour trip downstream to the ruins of Aguateca, the capital city of the dynasty founded in 645 AD by the prince of Tikal. 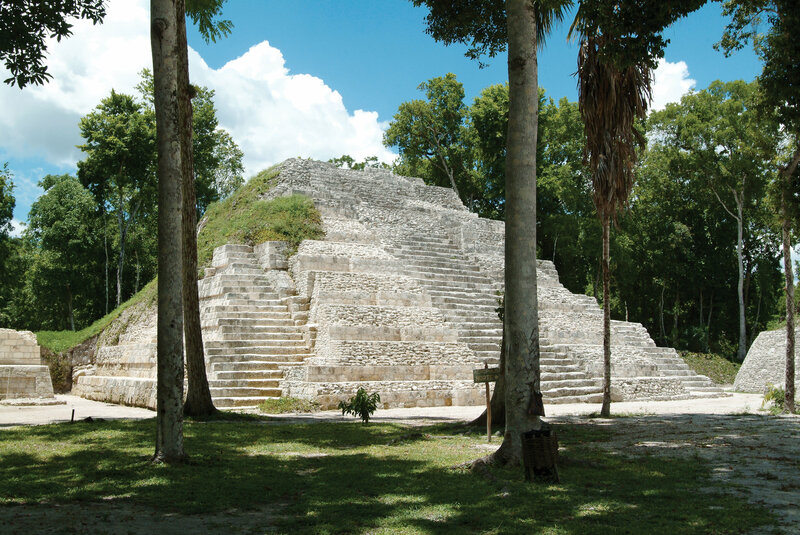 Today, Aguateca is a fortified Maya city protected by a steep escarpment and a 200-feet deep chasm. The inhabitants also erected a wooden palisade to help defend their city.